As the Victorian age was drawing to a close, new things and technologies were becoming commonplace and it was a time of change across the country. One of those inventions was the postcard that made use of the 1/2p stamps. The first postcards were blank both sides and then some genius had the bright idea of popping a photo one of the sides using the new camera technology. The idea took off and photographers scoured the land looking for photogenic places and people to capture. Dorset was one of those places. The cracking set of 350 postcards reproduced in the book are from the Barry Cuff Collection which has over 10,000 in it. A few of these have been published before, but most are very rare and haven’t been seen since they were first posted over 100 years ago. 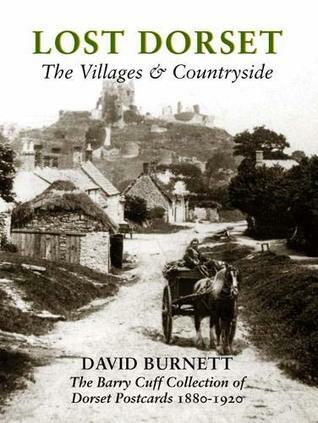 It is an excellent snapshot of rural life in the county that is now my home. The photos are grouped into a variety of subjects, from railways, farming life and pubs. It is a fascinating snapshot of rural life and would be perfect for anyone interested in the history of Dorset. Some of the places pictured have changed out of all recognition and there are other places where there is almost no difference between then and now.